Richard Evans of Sussex Central High School has been named Delaware’s 2012 Assistant Principal of the Year by the Delaware Association of School Administrators. Evans was nominated for the award by Indian River School District Superintendent Susan Bunting. As a state winner, he is now eligible for the National Assistant Principal of the Year Award sponsored by the National Association of Secondary School Principals. Evans gives credit for the award to Sussex Central’s students and staff, whose hard work and dedication resulted in the school earning its first-ever “Superior” rating from the State of Delaware in 2011. “To be named a Superior school is an incredible honor for us,” Evans said. 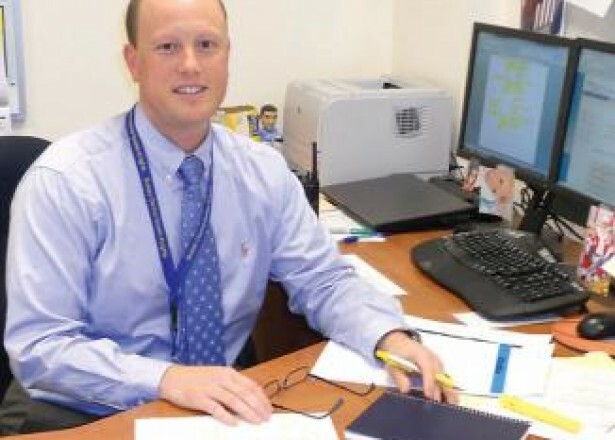 Evans is in his third year as an assistant principal at Sussex Central. Prior to joining the SCHS staff, he served one year as an assistant principal at Millsboro Middle School. From 2000-2008, he was a business teacher at Delmar High School. He is a 1993 graduate of Salisbury University.